Erebus Motorsport will move its operations to Melbourne as it consolidates its position in V8 Supercars. Team owner Betty Klimenko said she will run two cars in 2016, but a change from the Mercedes-Benz AMG E63s could be on the cards. 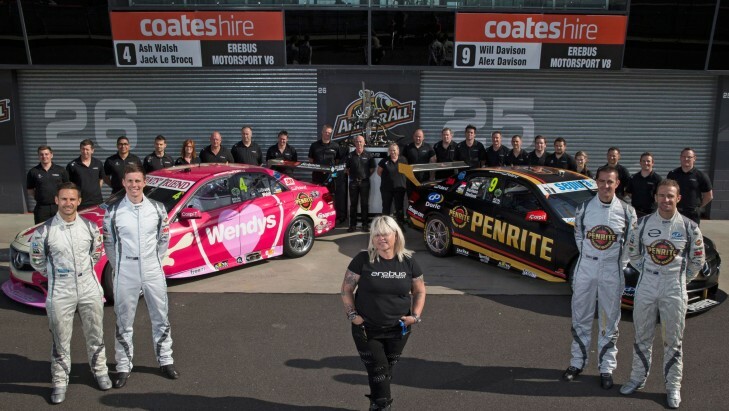 In a statement released today, she said: “The objective is to consolidate our resources and improve performance as one team in readiness for Round One of the Championship in Adelaide. “Our fans, sponsors, team, and drivers deserve that, and it's my responsibility as the Team Owner to provide the most competitive package available. “With this in mind we have decided to relocate the V8 business to our Melbourne-owned premises. “It makes commercial sense as the team has been renting the QLD-based facility. “This is a delicate time as we restructure and consolidate in an effort to consistently be more competitive. “We have had to identify and assess all areas of the business to maximise performance. “We are in discussions with other engine suppliers. “Racing has dual purposes and as much as I love motorsport the primary objective is to be competitive on track. “I respect and appreciate the support from our sponsors and particularly our fans during this time. “I also want to thank the team and our staff for their continued efforts.